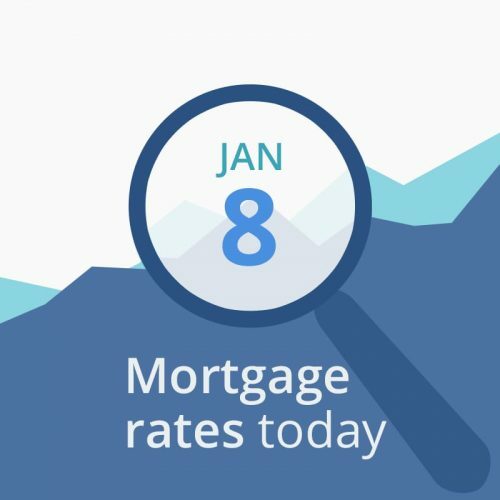 Average mortgage rates today are higher if you, like many borrowers are looking for conventional (non-government-backed) home loans. The other programs are still neutral, but be careful. Rate-watchers at Mortgage News Daily believe that this may signify a shift in financial markets, that bonds may be faltering and rates may resume rising. This morning’s data doesn’t look good for rate changes. If you can lock in something good now, grab it. CNNMoney’s Fear & Greed Index rose 8 points to a reading of 16 (out of a possible 100). That score is out of the “extreme fear” range and into “fear.” The direction of movement is bad for rates. “Greedy” investors push bond prices down (and interest rates up) as they leave the bond market and move into stocks, while “fearful” investors do the opposite.